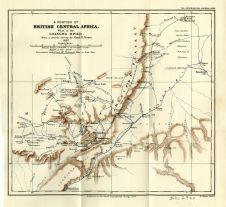 Title: A Portion of British Central Africa, West of the Loangwa River From a sketch by Cyril D. Hoste. 1897. Notes: Associated with Book ID 3492.